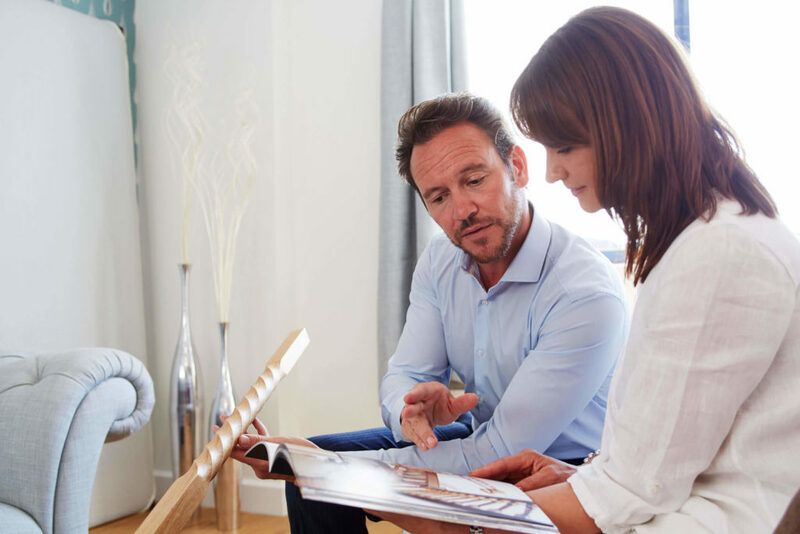 For over three decades Neville Johnson has been crafting bespoke furniture solutions designed to the exact specifications of our clients. 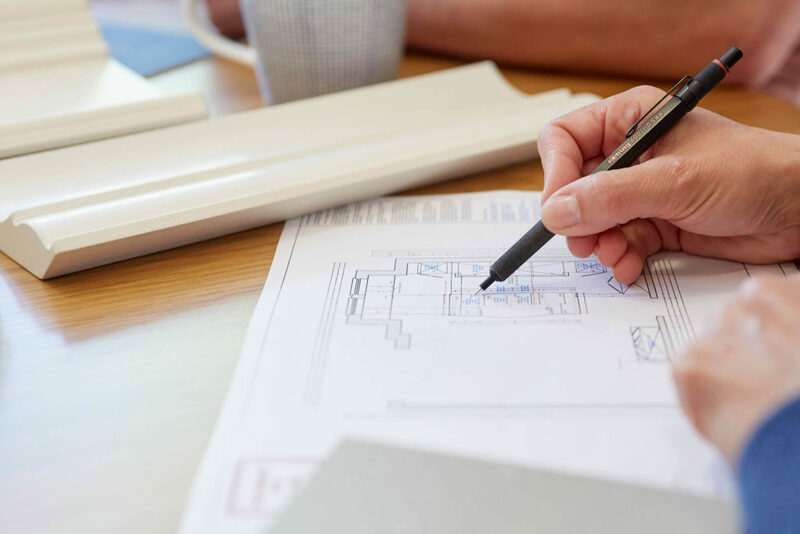 While a lot of other furniture in the marketplace has remained modular and predictable, we believe in traditional skills and the fundamentals of design. 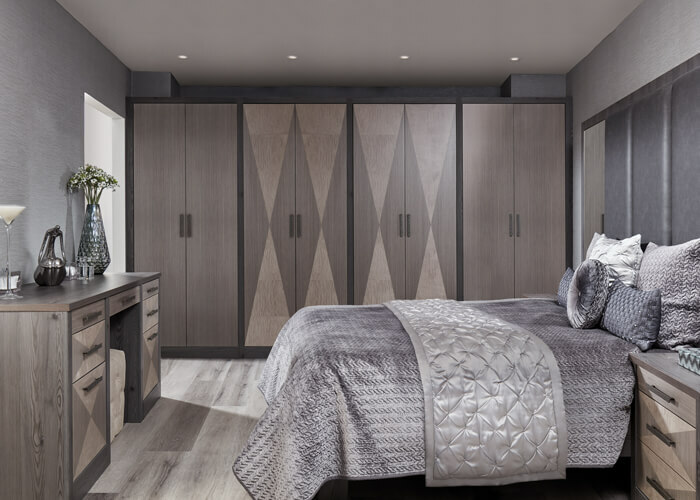 This modern dressing room design features an island with sumptuous seating, hand-built to suit our client’s needs. 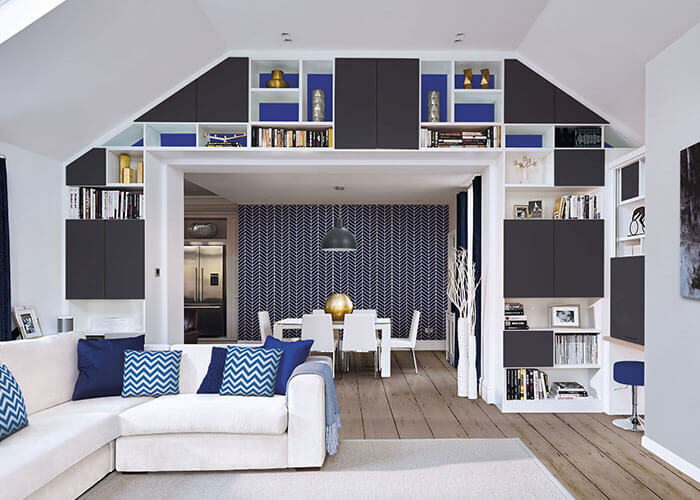 Our library concept with its stunning cabinetry, shelving, bespoke storage and design features are a real talking point. 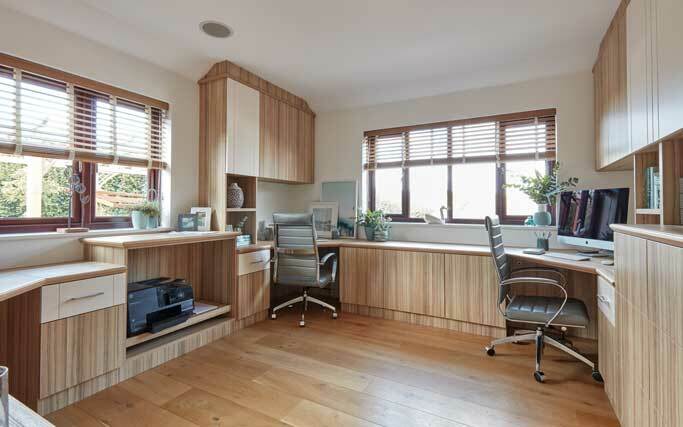 A dual office space allows you to work or study in comfort and privacy in a defined area. 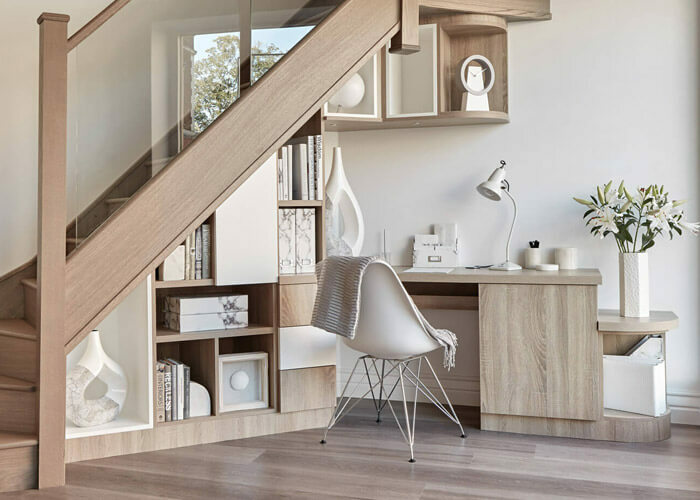 This understairs study includes beautiful bespoke cabinetry with display shelving, storage cupboards and desk. 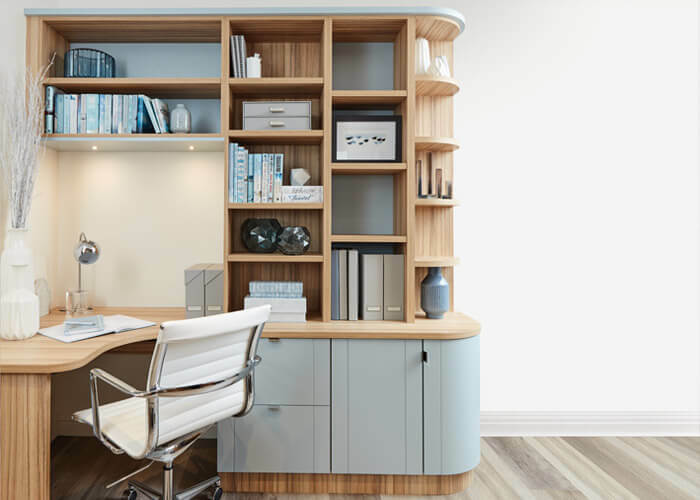 This beautiful white and sage green library incorporates light oak accent boards in our Bardolino oak finish and contemporary charcoal grey painted push front units. 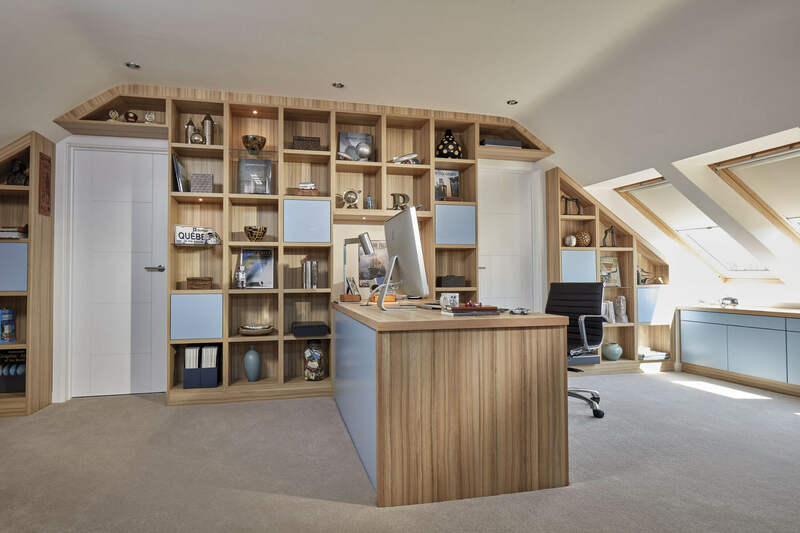 Made-to-measure shelving, cleverly integrated into sloping ceilings to create an eye-catching display area.